So I was starving, disappointed and ready to cry when I saw the Paul sign torn down from the Marriott. Well, now it’s time for alternatives. We noticed a couple of advertisements on the wall of the Marriott and decided to go back in and check out the restaurants in the basement (B1) of the Marriott. The first place we looked at was Ola!, which is an Italian restaurant located on B1 of the Marriott. It looked fantastic, but expensive. I was correct. There was a menu outside the restaurant. I flipped through it, hoping to find a good lunch deal, but the cheapest one I found was about 50k. So, we decided to do some exploring, and stumbled upon Beans To Go cafe. Now, there is nothing really special about Beans To Go, especially if you have lived in Seoul for awhile, you’ve probably seen these restaurant/cafes everywhere (BeansBin, TomsToms, Cafe Bene, etc.) Well, Beans To Go is pretty much the same deal. One goal I hope this blog accomplishes is to find alternatives for various types of travelers. If you are like my wife and I, humble educators with a medium income, you don’t necessarily have the money to spend on lavish restaurants and cafes. I want you to get the best deal for your Won, and sometimes that means alternatives to the suggestions in Lonely Planet, or a restaurant I love, that I feel has great value. Now, if you’re staying in the Marriott, you probably have some coin, but if you’re a local, and enjoy hanging out in Yeouido and can’t make it rain like the KSX guys, then you might consider Beans To Go an alternative. How to get there: The Marriott is located outside Exit 2 at the Yeouido subway stop (Line 5, Purple). Walk out exit 2 and head straight until you reach the intersection. You literally will walk into traffic if you keep going. Now make a left, and walk for about 5 – 7 minutes and the Marriott will be on your left. Seriously, the place is huge. You can’t miss it. Go into the Marriott and head down to B1 (Basement 1). Atmosphere: Beans To Go has a traditional cafe setup. It could be a tight squeeze if the restaurant is full, but since there were only two tables occupied, it had a nice open and relaxing atmosphere. 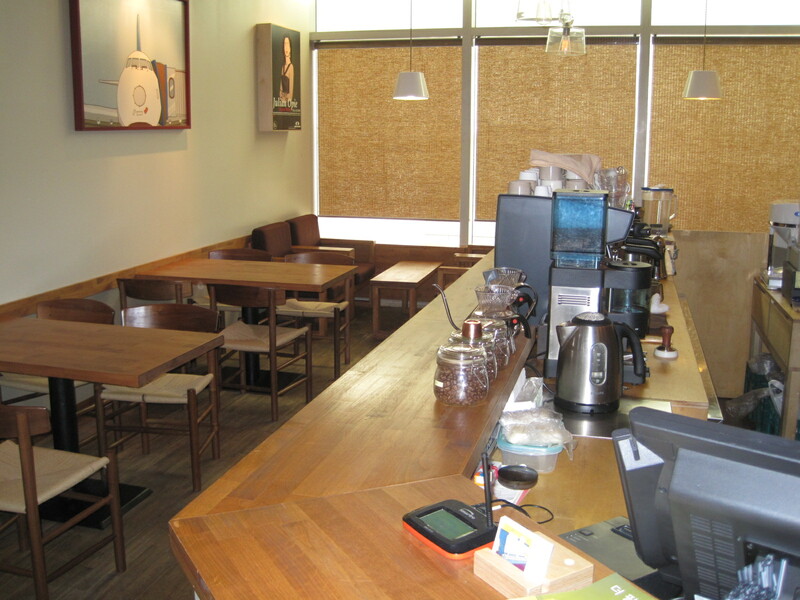 If you have ever been to a Korean cafe, this has a similar setup. There are wooden tables and chairs, and the kitchen is adjoined to the dining area. Service: The server was okay. She spoke English (we think) because she seemed to understand our order, but she didn’t give any verbal or non-verbal feedback. She simply rang in the order and walked away. She didn’t smile, but that’s okay. I would be apathetic if I was working on a beautiful Saturday afternoon too. Food: Prices ranged from 5k – 13k Won. I ordered the ham and cheese sandwich (6k) with a glass of peach iced tea (5k) and my wife ordered honey bread (6k) and lemonade (5k). The lemonade was of the carbon variety, not that sweet, smooth southern lemonade that blows on my heart with a cool kiss. The ham and cheese sandwich came first with my iced tea and my wife’s lemonade. The ice tea was perfect, not too sweet with that hint of peach. The sandwich was good too. 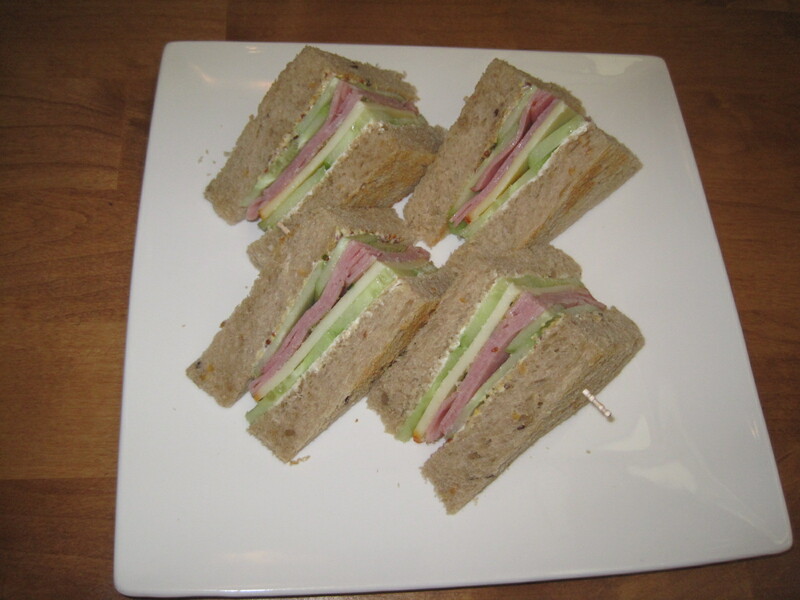 It had a nice portion of ham, with a couple slices of cheese, cucumbers and mustard with a little kick. My wife’s honey bread was huge! It was baked fresh, warm and wasn’t too sweet. Really happy with the value here! We were full when we left, and at that point, that’s all we wanted. Value: I can’t complain about the value. In fact, it was great value considering the location. Normally Yeouido is pretty pricey, but this was a bargain. My wife, baby and I were full! I would check this out, especially if you are hungry and looking to save some money, in a normally expensive part of town. Although I’m sad to see Paul go, this was a pleasant surprise to ease the pain. Who Should go there: People looking for value, such as families or travelers on a budget. If you really want to get fancy and have fun, get this to go and head over to Yeouido park and have a picnic! 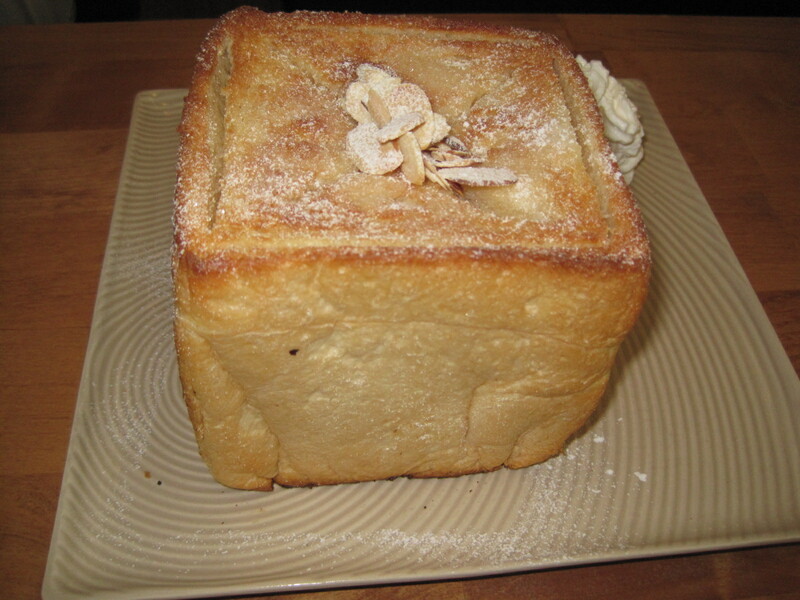 You could easily feed two people with this bread, or four Koreans. This sandwich hit the spot, and relieved some of the pain of Paul’s closing.